Charmingly inept Canadian co-ed group whose amateur renderings of ‘You Can Experience’, ‘Psalm 19’, ‘Oh Happy Day’ and ‘Alleluia’ get a sizeable lift from the crude electric guitar and drums. 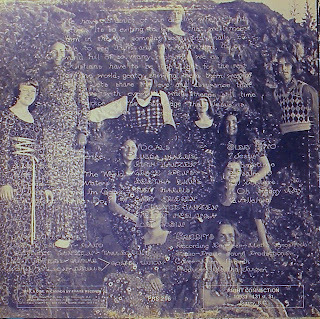 The two guys in the group don’t appear to sing, leaving the nine girls for vocals, as well as piano (the primary instrument) and tambourine. The gals’ harmonies are a tad strained and off-key at times, but in a semi-engaging way. Other covers include ‘Come To The Water’, ‘I Know Where I’m Going’ and ‘I Believe’. Not every cut is a winner, especially some of the ones with just piano backing, but overall I still think they’re kind of fun. (The Archivist by Ken Scott, 4th Edition).